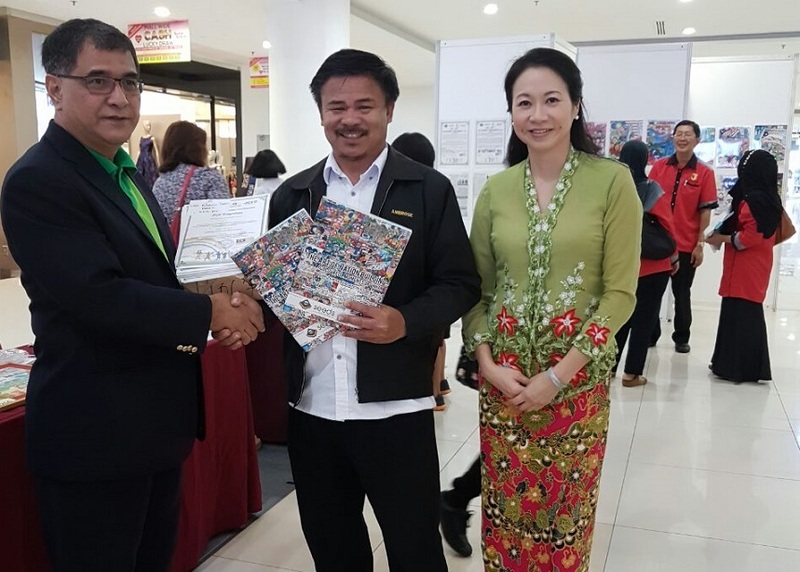 KOTA KINABALU – The Society Empowerment and Economic Development of Sabah (SEEDS) has warned against the exploitation of the “3Rs” (race, religion and regionalism) by certain unscrupulous groups to pursue their own interests at the expense of national unity, peace and harmony. SEEDS fellow and treasurer, Dr Pamela Yong warned this while speaking at “The Art of Nation Building” (TANB) prize presentation ceremony held at Suria Sabah, recently. She was responding to the actions by certain groups who resorted to narrow racial, religious and regional rhetoric that she said were gaining ground. “Challenges to national unity such as these are issues that the next generation may be left to tackle. But no matter how tough the going gets, we must not allow it to gnaw at the delicate stitches of national unity and nationhood, which were painstakingly sewn by our country’s founding fathers,” she said. Assistant Minister, Datuk Edward Yong, third from right, with Dr Pamela and other officials, together with one of the winners of the TANB competition. Dr Pamela who was the event’s organising committee co-chairperson also surmised that through the TANB competition, she has come to realise that children acquire the knowledge of how to be respectable human beings. “They actually understand the concept of love for their country, and love for their fellow countrymen, in a far purer sense than the vast majority of mature Malaysians. “Perhaps as we grow out of adolescence into adulthood our clarity of vision is skewed by the shifting undercurrents of life, and we lose this basic sense of nationhood. “We build up barriers, segregate ourselves and distort the path to unity. We adults often find ourselves embroiled in politics, or self-interest to such an extent, that we step off the path of unity. “Perhaps from time to time we should all stop and take a moment to look at ourselves through the eyes of our children, and I believe this is one such opportunity, to reconnect with the basic fundamentals of unity that we see reflected in the artwork of these children,” she said. Dr Pamela squashed the criticisms of some people that TANB competition is a “child’s play”, saying that it is a serious effort in planting the seeds of national unity in the young generation that will ultimately sustain the nation through thick and thin. 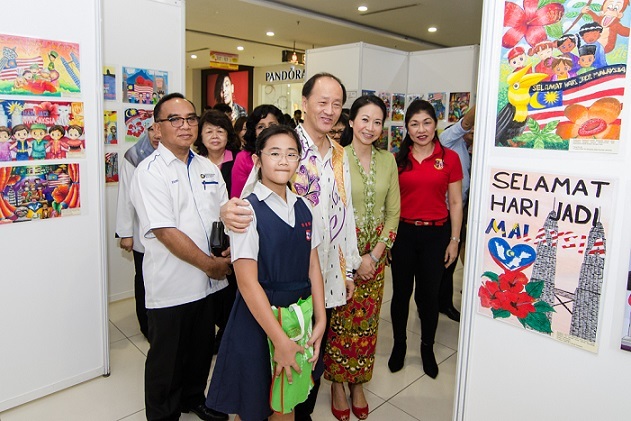 “Over the course of this programme and looking through the art pieces submitted by the children, I am reassured that our youth have a good idea of how they envision their Malaysia. They appreciate the struggles we have faced and how we have grown as a nation,” she said. She further said that TANB is not just about the contestants unleashing their artistic skills, but also aimed at educating schoolchildren on the historical facts of the nation. Dr Pamela cited for example, there are still people who regard 1957 as the year Malaysia was born when the correct year should be 1963.